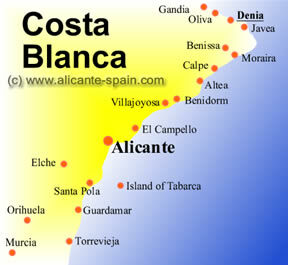 Denia, located at the Costa Blanca in Spain is located on the northern end of the the Alicante region. 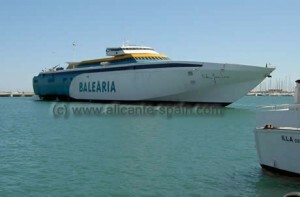 With its important seaport its a key destination for ferries to Ibiza, Formentera and Mallorca. The Denia area map shows you the location of the city right between Gandia and Oliva to the north and Javea, Benissa and Moraira to the south. How Far Is Denia From …? – Video about Denia giving you a glance on interesting corners of the city.